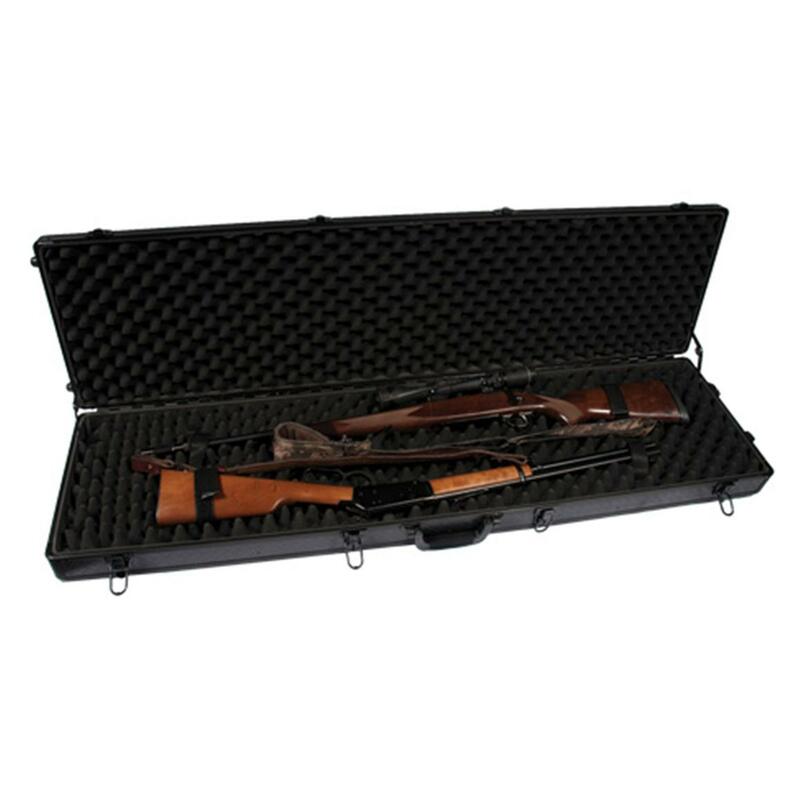 SportLock® AluminumLock Double Rifle Case with Wheels. Stores and protects your top - end rifles! 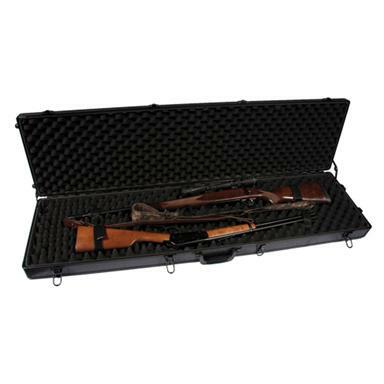 Built to store up to 2 rifles! The aluminum exterior construction and high-density foam interior ensures your handguns will steer clear of everything from minor scratches to major damage. Features an ergonomic carry handle for easy toting from your vehicle to your home, or other applications. 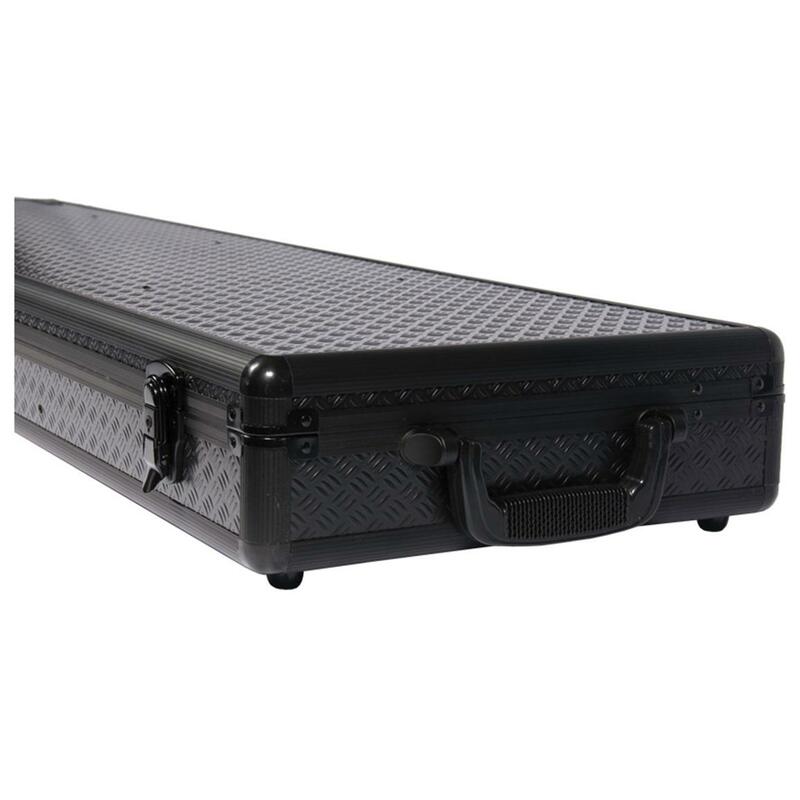 The ideal transportation case, for LESS! Measures 14 3/4 x 5 x 54 1/2" and weighs 10 lbs. Comes with 4 tie-down straps for firearm stability while you travel around.